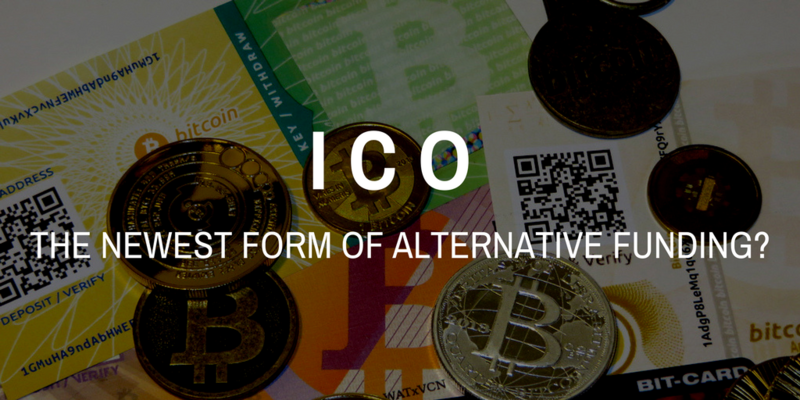 ICO: The Newest Form of Alternative Funding? The past decade has seen the exponential growth of alternative funding methods for small businesses, from crowdfunding to accelerators to peer-to-peer lending. Cryptocurrency-enabled startups may have yet another option: the Initial Coin Offering (ICO). First seen in 2013, the ICO is a recent fundraising mechanism, and opinions of it in the finance world are mixed. Some say it will forever change the way we invest and raise business funds. Others say it’s a complete scam. Only time will tell, but until then, we at the Business Funding Show thought it best to learn a thing or two about how ICOs work and their pros and cons. These are our findings. An Initial Coin Offering is an unregulated presale of a startup’s cryptocurrency tokens. The aim of the sale is to raise funds to grow the startup. The startup sells shares of its cryptocurrency in exchange for legal tender, such as British pounds, or another cryptocurrency, such as Bitcoin. This unregulated mechanism allows startups raise capital without going through the complex, regulated due diligence process of venture capital firms and banks. Through this relatively new mechanism, startups are raising more money more quickly than ever before, usually prior to launching their first commercial product. Companies such as Aragon, Status.im and Basic Attention Token have raised tens – even hundreds – of millions of dollars within hours, minutes, or seconds. The potential for such wild success has attracted entrepreneurs and investors – but has also set off alarm bells among financial authorities. The unregulated nature of ICOs makes many uncomfortable, and they have already been banned in some countries, including China and South Korea. An ICO is easier to understand if you compare the process with two other fundraising mechanisms, Initial Public Offerings (IPOs) and crowdfunding. There’s a reason why the ICO takes its two names – ‘Initial Coin Offering’ and ‘crowdsale’ – from these two. An ‘Initial Public Offering (IPO)’ is the first time a company, usually young but matured well past the startup stage, issues its stock to the public market. ‘Crowdfunding’ is a business fundraising from a large number of people who each contribute a small amount of capital, usually through a campaign on an online platform. ICOs also have a funding target, like crowdfunding campaigns do. Like in crowdfunding, at the end of an ICO campaign, if the startup fails to raise its target capital, all funds raised return to investors. After the campaign launch, supporters who see potential in the startup’s cryptocurrency purchase its tokens, with the goal of one day selling them for more than they paid for them. This means that ICOs are more similar to equity-based crowdfunding than donation-based, since supporters are motivated by the expectation of financial returns on their investments. Are ICOs the same as crowdfunding, then? Not exactly. In crowdfunding, supporters can estimate the value of a product by comparing it to similar existing products. With ICOs, investors must proceed blindly. Since the cryptocurrency environment is new and volatile, they have no way of guessing what each token is worth. In other words, what they invest in currently has no market value in the real world. ICOs are also similar to IPOs. The basic mechanism is the same: the public buy units of the company in the hope that they will increase in value over time and can be sold for a profit. However, in an ICO, investors purchase not shares of ownership but tokens. Unlike shares, these tokens grant no ownership rights, only the opportunity to profit from the rise of cryptocurrencies. ICOs and IPOs also differ in their level of regulation and the stage of the businesses. IPOs are tightly controlled by financial authorities that offer a number of recovery options for cheated investors. Companies that create IPOs are also more likely to be established, late-stage ventures, and thus less risky than startups. ICOs offer no such securities. They are unregulated, and their startups are untried on the market and perhaps not even fully developed. They are therefore riskier for investors. Like crowdfunding, an ICO gives entrepreneurs access to a worldwide pool of investors from which they can raise enormous sums of capital. The process is much simpler than fundraising through more established methods such as venture capital. Especially given the scepticism surrounding cryptocurrencies among VCs and other funders, this can be big advantage. For investors, the main advantages are easy access, high rewards and liquidity. ICOs are particularly appealing to those who wish to invest in startups but do not meet business angel networks’ criteria for ‘sophisticated investors.’ With ICOs, they can play for the same stakes as a venture capitalist, winning (or losing) huge fortunes. They can do so in a matter of in minutes, a much quicker turnaround time than more common investments. Thanks to high liquidity, they can also cash in on their investments with ease. The downside for entrepreneurs is that investors in this space are likely to be highly cautious. There are a few reasons for this. The cryptocurrency market in general is volatile. Most ICOs are pre-product, which means investors are pouring money into something that may never exist. Since ICO campaigns are not regulated by any financial authority and are easy to launch, investors must be wary of fraud. In the event of fraud, it may be impossible to get their money back. Will the ICO revolutionise business funding? Or will it amount to nothing more than a scam? As one of the latest trends in cryptocurrency, this new fundraising method is under a great deal of scrutiny. Before the verdict, entrepreneurs and investors must approach with due knowledge and caution. Considering an ICO as part of your business strategy? Think on other aspects of your plan at our next workshop, ‘Getting Investment-Ready: Strategy and Valuation,’ at WeWork Moorgate. The event will be held on 28th November at 6:00 p.m. Secure your ticket here!